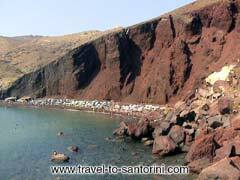 Red beach in the Akrotiri area. 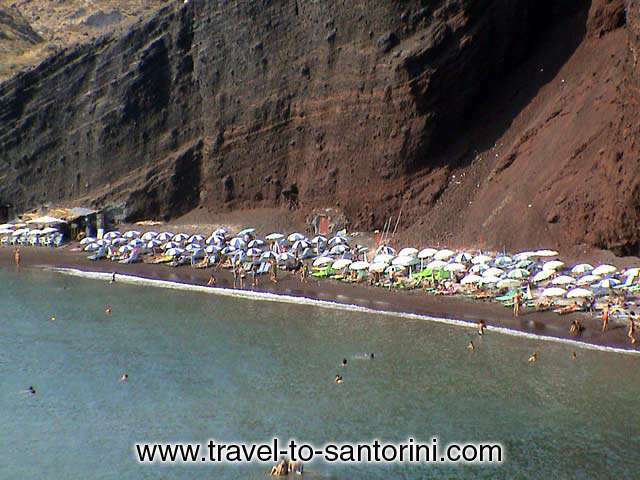 Beautiful beach, well known for the unique colour of the sand and the hill behind it. 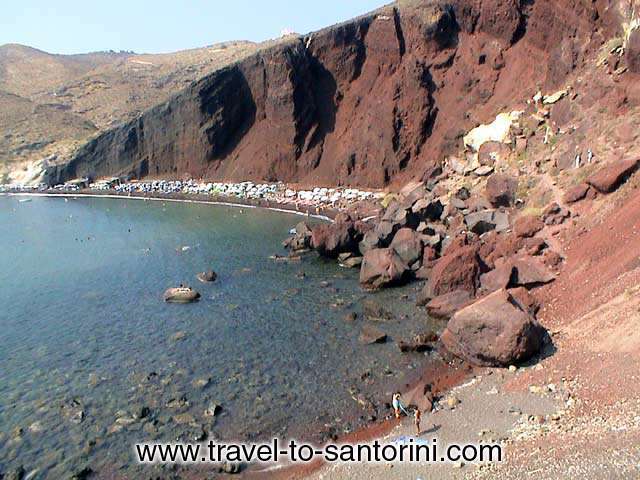 Soaring red lava cliffs which drop right to the sandy shore and into the clear blue sea, make for a majestic setting and one to enjoy. 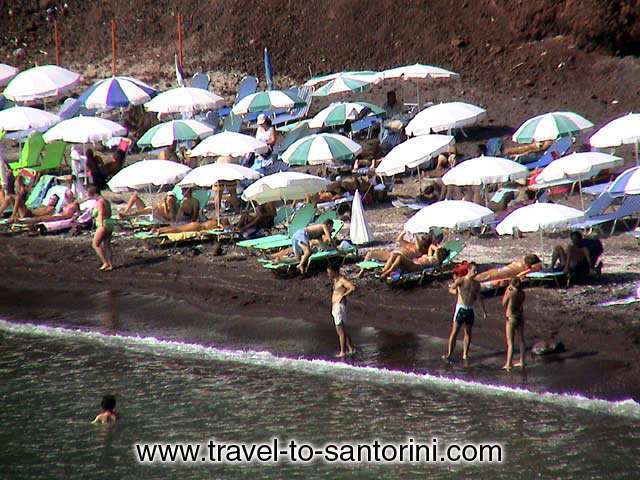 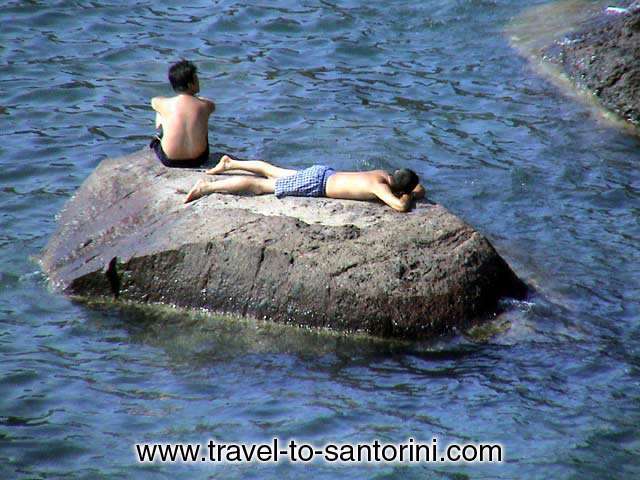 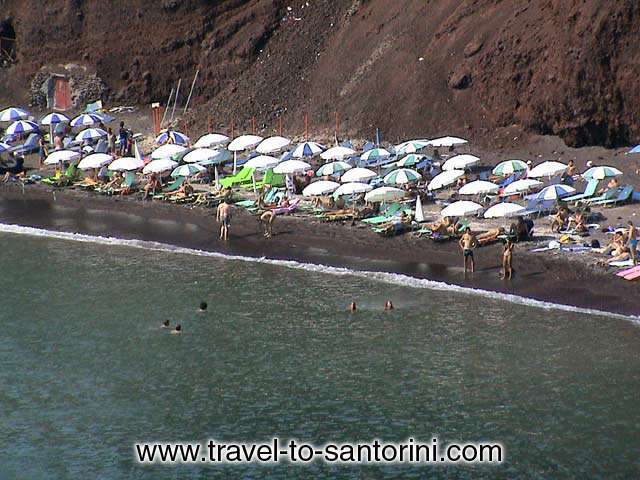 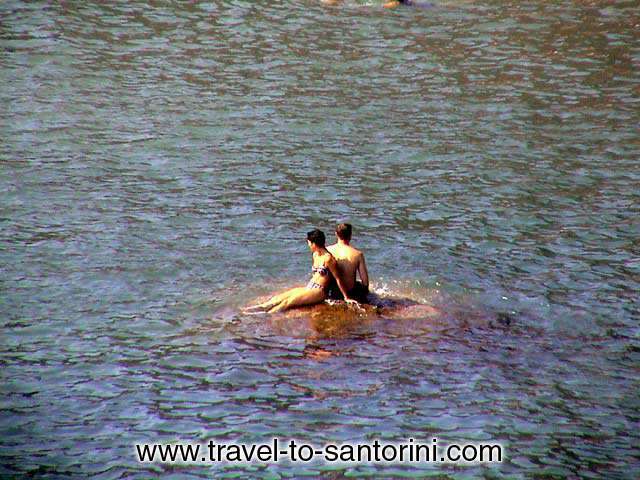 The beach can be reached either by boat (there are several connecting Red Beach with Perissa and Akrotiri or by foot (10 minutes walk from Akrotiri, you have to reach Agios Nikolaos church in Akrotiri next to the excavations area). 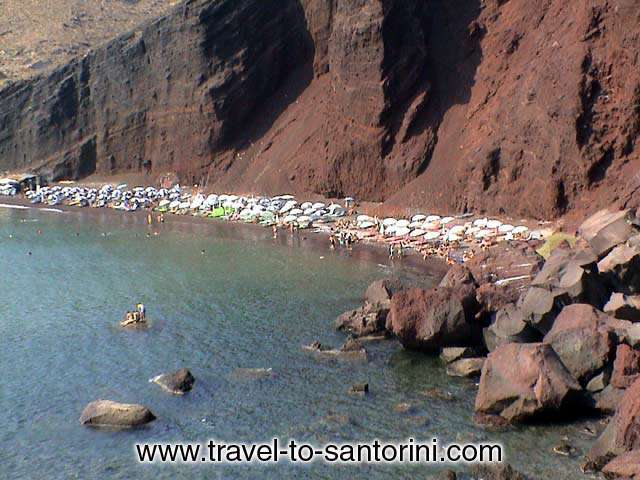 We suggest to include Red beach into your itenerary.